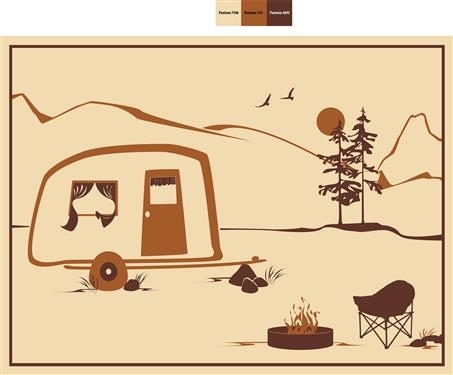 The Faulkner 53004 is a beige patio mat that is great for use outside your RV, giving you a clean area to relax in, while enjoying the outdoors. It will also keep dirt, grass and mud from being tracked inside your RV, saving you from having to clean up a mess. Mat Dimensions: 12' L x 9' W.